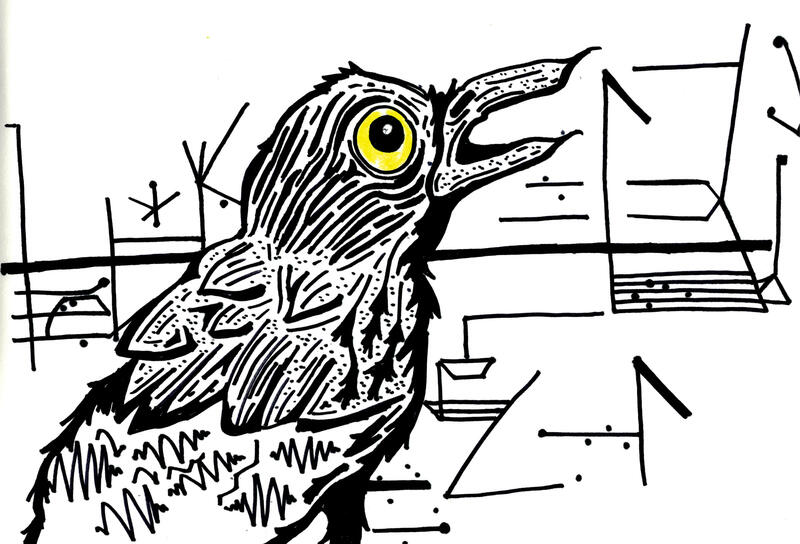 That sentimental space, and the bird itself, is the focus of a performance and audiovisual art project called "Grackle Call" that runs for three days starting Thursday as part of the Fusebox Festival. The project is led by Austin-based artist Steve Parker, who has created an experience meant to mimic a bird-watching tour. The plan is to equip participants with binoculars, mp3 players and a map directing them to performances and installations, according to the website. The team contributing to the project includes KUT’s Mose Buchele, who produced stories for the show about unwanted dinner guests, ancient Aztecs and a grackle researcher who sometimes feels like the birds are studying him. Learn more about the FuseBox Festival here. 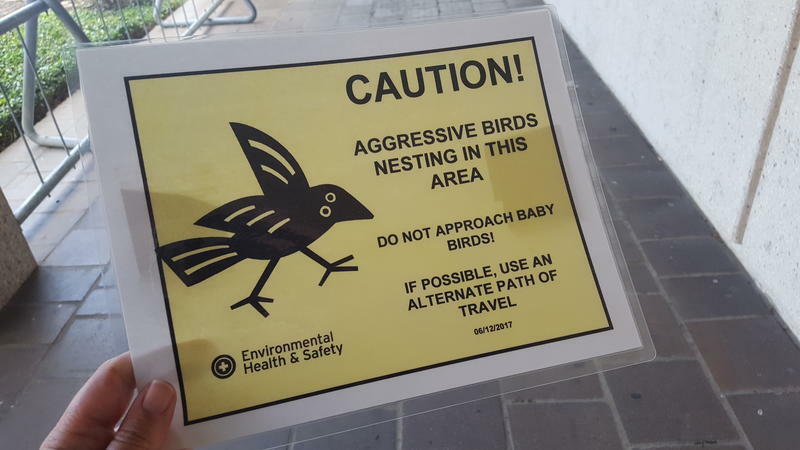 Signs went up recently near KUT's studios on the UT campus, warning people about aggressive birds. After two members of the newsroom got dive-bombed by grackles, we started wondering what it was all about. Noticing More Grackles in Austin? Today’s cold weather has probably prompted the few bird stragglers that didn’t migrate already to hit the skyways fast. But many local species don’t migrate. 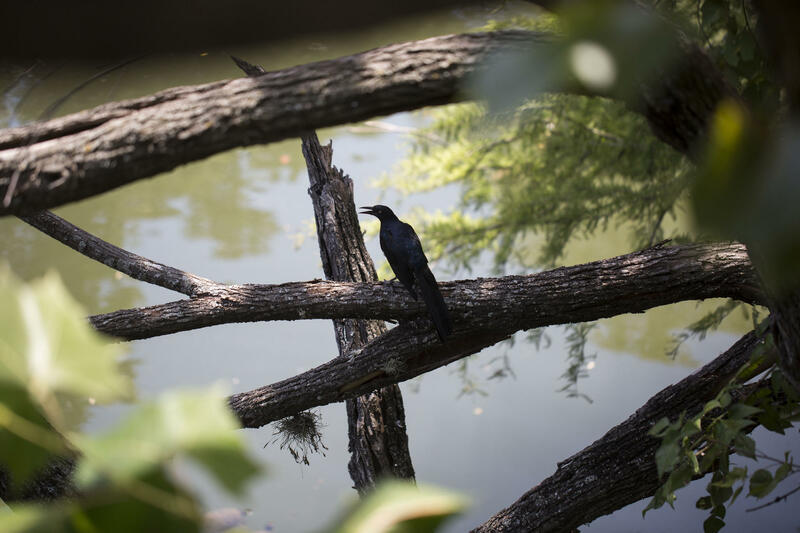 If you’ve noticed more grackles around Austin, you’re not the only one. “People do notice them more in the wintertime because that’s when they are in their large communal roosts," Jane Tillman, chair of the Urban Habitat Committee for Travis Audubon, said. "In the summer they spread out and nest, so the males actually have territoriality. 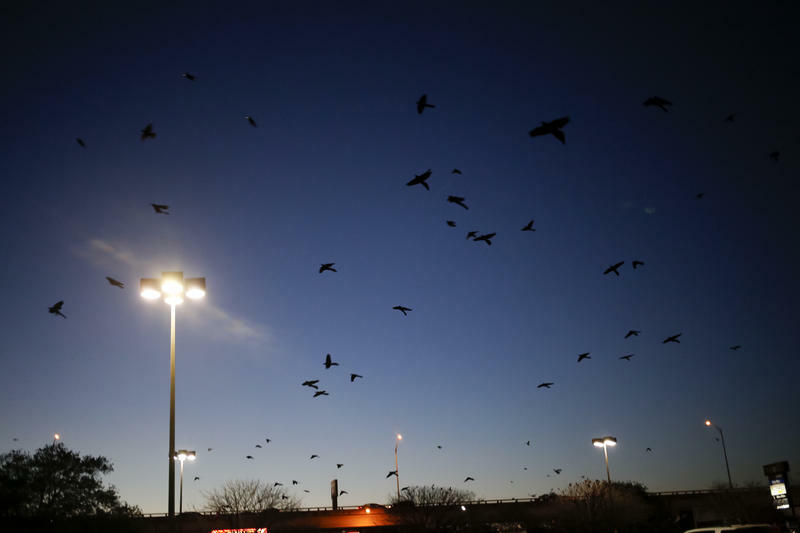 But in the winter there’s no breeding going on so everybody gets together in these huge flocks in our H-E-B parking lots." But just because we may not notice grackles in large flocks year round, doesn’t mean they leave town.